The station wagon has never been better. The Fiat Tipo Station Wagon combines standard equipment with space to give you the best-in-class comfort. Within the 4.57 meters of length, The Tipo Station Wagon offers standard roof bars, spacious interior room, best-in-class rear leg room, and 550 litre boot capacity making it one of the biggest boots in its category. The sizable boot capacity offers configurable load surface and removable pockets for your needs. The rear seats can be arranged to fold perfectly flat allowing for a stretch of 1.8-meter-long space. Image what you could fit in there. It goes without saying that is has all the makings of a great family vehicle. Comfort is never compromised with the Fiat Tipo. Driver and passengers receive the ultimate comfort with five supportive and ergonomic seats, best in class rear passenger leg room, and 9 handy compartments for storing essential items on journeys. Transporting shopping, luggage, and items in between is never a problem with the 440 litre boot capacity allowed in the Tipo. The open design allows for easy entry of items so you can carry everything you want. The 60/40 rear seat split allows for a combination of configurations to allow for longer or irregular shaped items to be backed away nicely. Infotainment is at your fingertips inside the Tipo. Enjoy the advanced technology with the Uconnect 5” touchscreen radio with navigation system, Bluetooth, DAB, USB and Aux-in. TuneIn and Deezer will provide the best entertainment experience from your favourite tracks.The Fiat Tipo’s engines are designed with intelligence. From the 1.4 litre petrol to the 1.6 litre MultiJet diesel, the best choices for performance and fuel consumption is finally here. 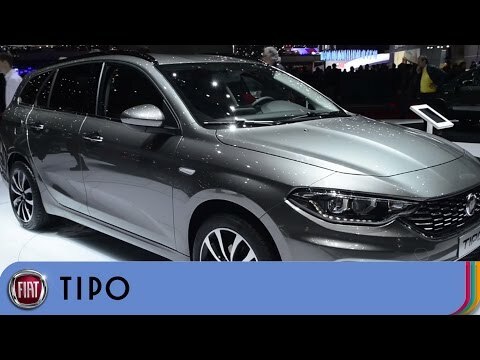 The Fiat Tipo helps you keep everything under control with its state-of-the-art safety features including the Adaptive Cruise Control that keeps a safe distance from the car in front. EPS and Hill Holder also allow for ease with those tricky hill start.